She's available on both Amazon an Amazon Canada at this moment. Amazon UK has her also listed but she isn't available yet. You can find the listings below. Twilight Sparkle represents the Element of Harmony “magic,” and she is an alicorn princess, which is a pony who has both wings and a unicorn horn. 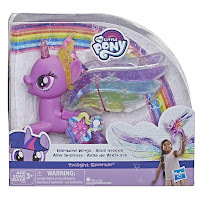 Imagine her soaring through the clouds above Equestria with the Rainbow Wings Twilight Sparkle pony figure! 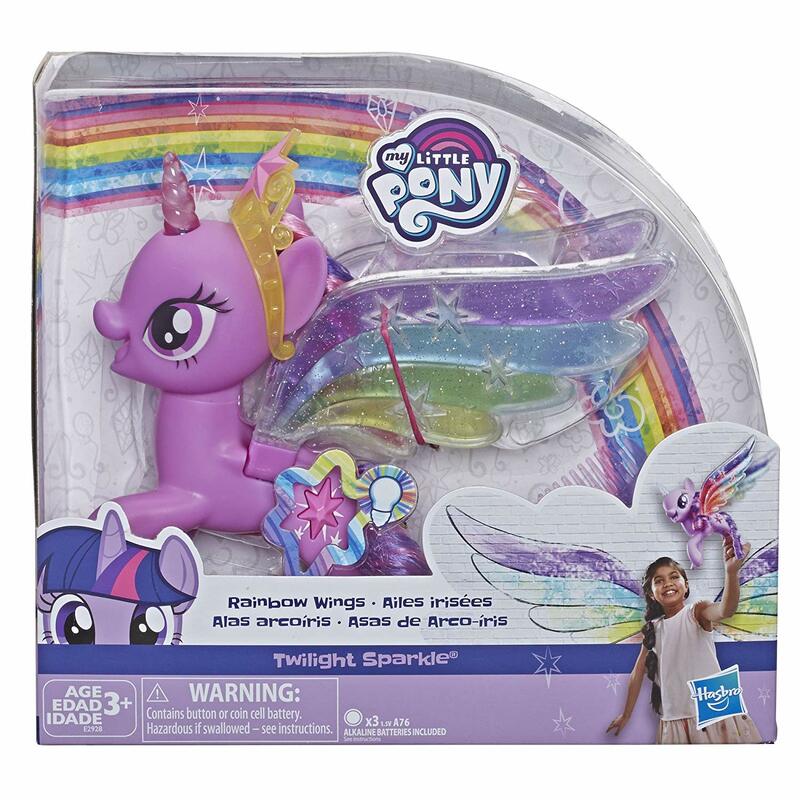 This purple pony figure has gorgeous rainbow wings inspired by scenes in entertainment. Push her signature cutie mark to see her unicorn horn and wings light up. Her rainbow wings also flutter while holding and guiding her up and down to pretend she’s flying. When her wings flutter, they light up too! 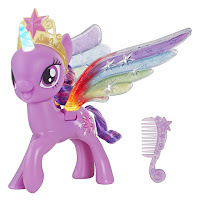 She also comes with her signature princess tiara and a comb for styling her purple mane and tail. Twilight Sparkle uses her colorful wings to fly above Equestria, spreading the magic of friendship wherever she goes. Product dimensions are 8 inches by 8 inches. My Little Pony and all related characters are trademarks of Hasbro. 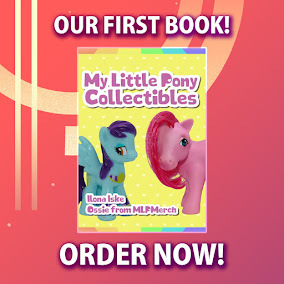 Includes pony figure, 2 accessories, and instructions. Figure scale: 8 inches. Ages 3 and up. WARNING: Contains button or coin cell battery. Hazardous if swallowed - see instructions. WARNING: CHOKING HAZARD - Small parts. Not for children under 3 years. REQUIRES 3XA76 ALKALINE BATTERIES. DEMO BATTERIES INCLUDED. Likely that Rainbow Power returns in S9 just like someone else but we know how accurate the toys are to what is gonna happen on tv.